Are occupational injuries under-reported by 86 percent? Researchers say the federal government may be seriously undercounting the number of occupational injuries that occur each year. Michigan State University’s Department of Occupational and Environmental Medicine reports that in 2012, there were actually 86% more work-related skull fractures in Michigan than reported by the federal Bureau of Labor Statistics. BLS said in 2012, there were 170 work-related skull fracture cases in Michigan. BLS tabulates its injury numbers via direct reports from employers. death certificates (six work-related skull fractures in Michigan in 2012 ended with death). The result? 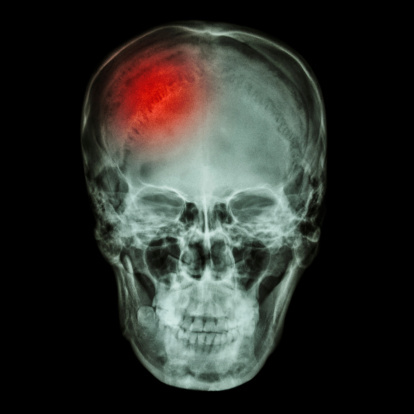 The study found 316 work-related skull fractures in Michigan in 2012 – 86% more than the number BLS counted. 74 of the injured workers were hospitalized, and 197 were treated in the ER. A 37-year-old man fell 12 feet from a ladder. What’s the practical application of this study? The researchers say better statistics can help target interventions to prevent future injuries. The uncounted injuries not only change the total numbers – there are also changes in the percentages of injury types and circumstances involved. This isn’t the first time the team from Michigan State University uncovered BLS undercounting. In two previous studies, they found similar results when looking at work-related burns and amputations. What are other possible ramifications of the undercounting of workplace injuries? Let us know in the comments.